We have no idea what this year’s Doctor Who Christmas special will be about. The new series hasn’t even started yet. However, regardless of which villains are in the episode, we will be celebrating the holiday with this awesome Cyberman head ornament adorning our trees. 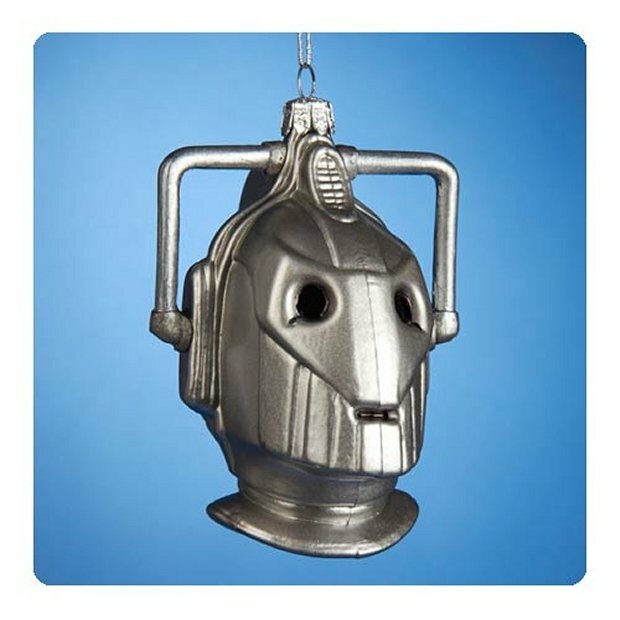 At least this Cyberman head won’t be shouting “Delete” at us hanging from the tree. This glass Christmas ornament measures about 4 1/4-inches tall and if Santa is a Whovian as we suspect he is, he’s gonna see this and leave a super amazing gift under the tree. How could a Doctor Who fan not deck the halls with a Cyberman head?